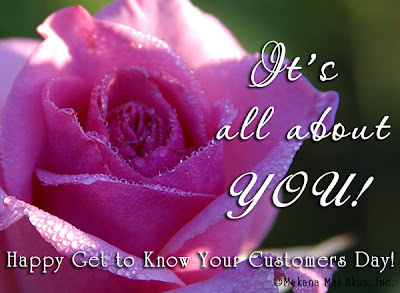 Designs by Debi: Happy Get to Know Your Customers Day! Did you know that today is Get to Know Your Customers Day? Well, it is. We actually celebrate this day 4 times every year. For Designs by Debi, I want to make this one extra special... but I need YOUR help. As you probably have seen, there hasn't been a whole lot of activity on the website. That's because I've been working on making it better. Unfortunately, there's a lot of programming involved and it's taking longer than expected because, as I explained in my last post, Niko is very sick. As a matter of fact, he'll be having surgery soon to remove the mass in his belly. So, for now, the website renovation is on hold. I've been focusing on fulfilling orders and direct customer care because that always has to come first. So the website will wait a bit longer. But that also gives us a wonderful opportunity! The jewelry I design is for YOU. The Designs by Debi website is for YOU. So I'm hoping to turn this delay into something productive. I'm hoping that you will take a minute (or as long as you want... I LOVE hearing from you! ), and leave a comment below or send me an email or write on the Designs by Debi Facebook wall... and tell me what YOU want to see. What should I keep around? What should go? What would you like to see added? What would make the site, blog and/or newsletter better for YOU? And, just in case you need a little incentive, there will be a giveaway attached to this. It doesn't matter how or where you choose to give me your input, I will be writing it down or printing it out and, once Niko is well enough for me to continue the site renovation, I will select a set of jewelry and one of you will win it. Sound good? Ok then, share your thoughts with me. And I not only want to get to know you today, I also want to say THANK YOU! That's why I chose a magenta rose to make that image for you, and why the rose in my logo is magenta... dark pink roses symbolize appreciation... and I don't think there are words to express how much I appreciate you! 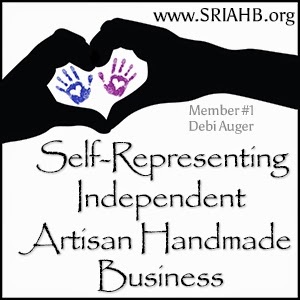 Without you, there would be no Designs by Debi at all. Thank you for your purchases. Thank you for trusting me to design precious keepsakes for you. Thank you to all of you over the past month who so graciously told me to "take care of Niko. He comes first. I can wait." And thank you to all of you who have sent prayers and well-wishes to us and those of you who donated to Niko's fundraiser. All of these things mean more than I can say. In a time when so many people are struggling, I feel truly blessed for the business (and repeat business!) that you've given me. Thank you SO very much! Ok, now get sharing!! I want Designs by Debi to be a truly awesome experience for you always! I'm with Jacqueline - I love your site like it is - bit I know whatever you have planned for renovations of it, that it will be better than ever. I love my special Bracelet & Earrings I got from you! Many people ask about it every time I wear it. Praying for you and Niko. I'm not totally changing the site... I put a lot of work into that design. But I'm tweaking things and trying to improve your experience. I want to make things easier to find. I'm adding search and a shopping cart. I'm also making changes to my product lines. I'm fine-tuning my focus and the types of work I do. Some things are going, some staying the same and some will be added. And thank you for the prayers for me and Niko too! His surgery is going to be on the 31st and I am nervous!